The only holiday I get really hyped up on is Christmas. 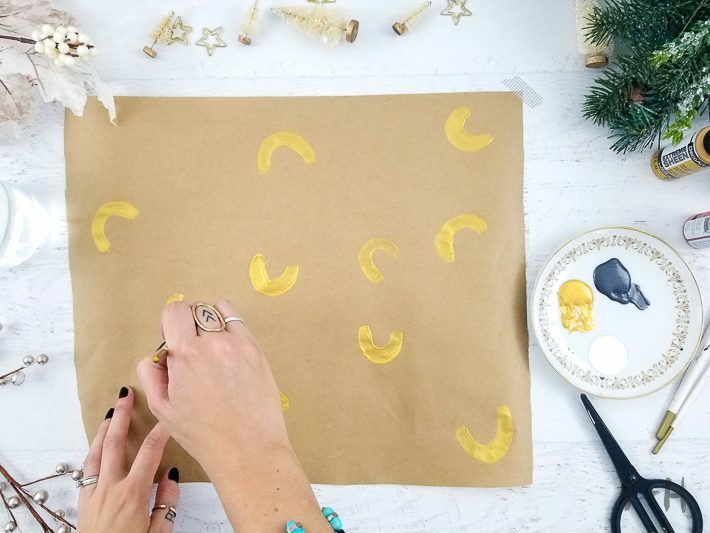 While I don’t go like all out in decorating, I do like to add a ton of handmade feels to everything. 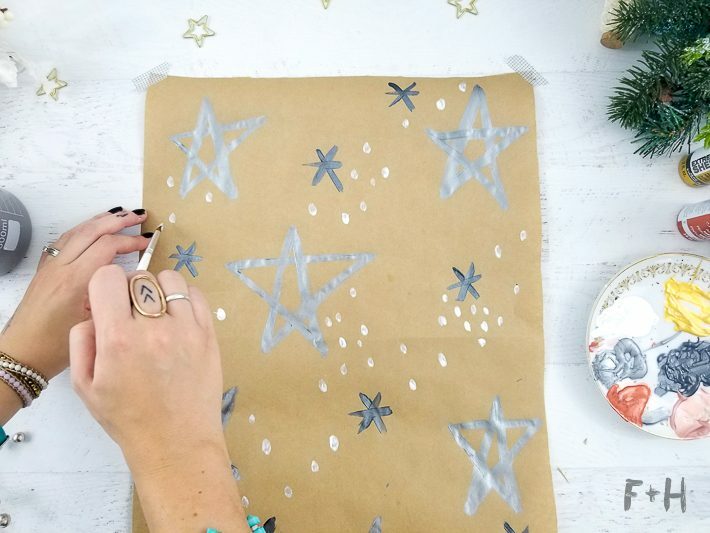 This is where creating hand-painted Christmas kraft wrapping paper comes in. 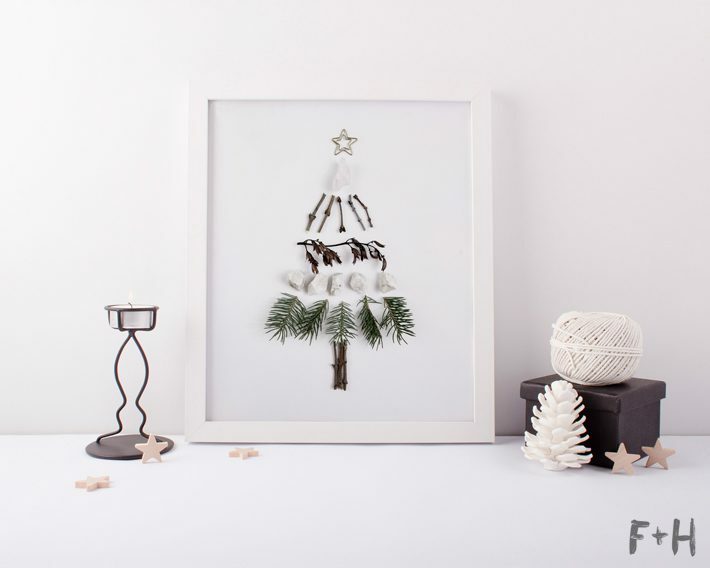 It’s super easy to make, takes no time at all and adds a fun artistic touch to your gifts. 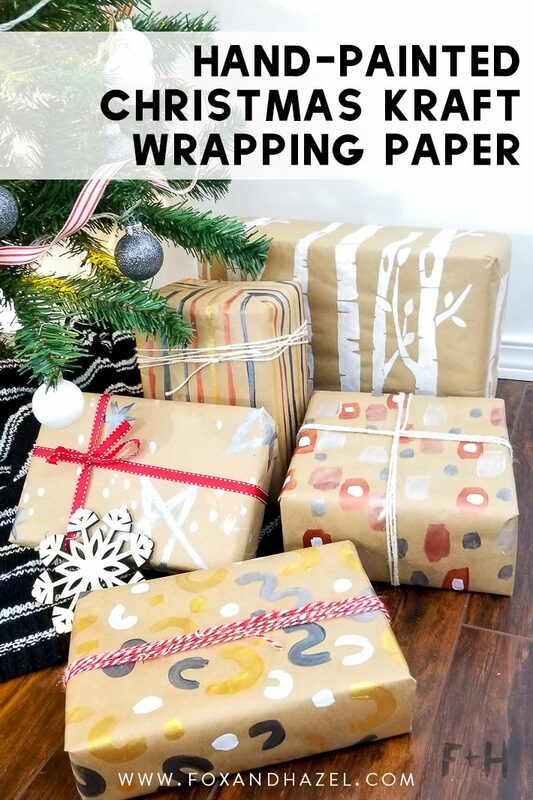 If your Christmas aesthetic is more of a natural or Scandinavian style, then these Christmas wrapping paper ideas will go great with it. 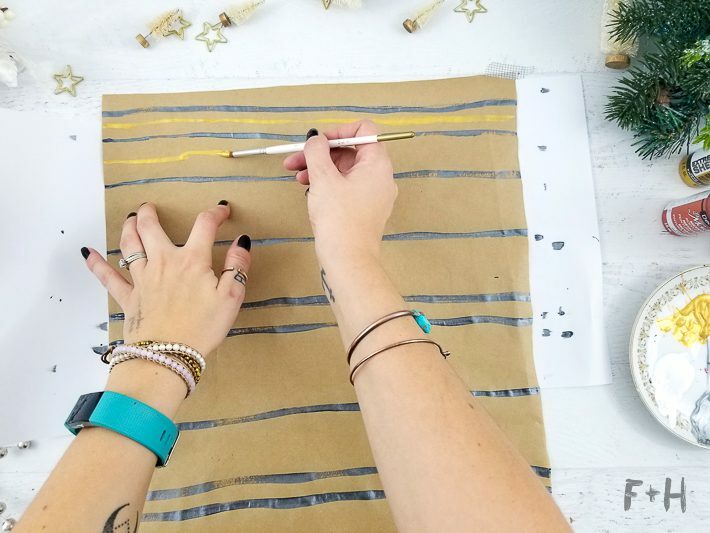 Creating my own DIY kraft wrapping paper is something I do a lot for all occasions. 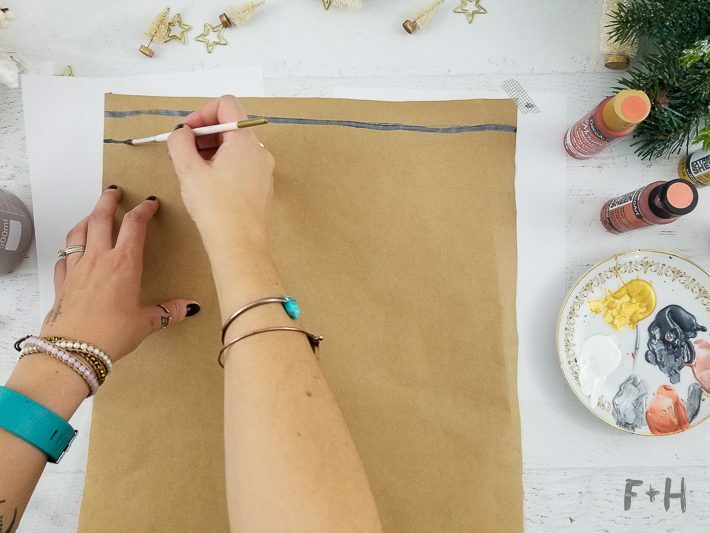 I always have kraft paper rolls on hand, and it is so easy to decorate it to the appropriate occasion. All of these designs could also be used to decorate gifts for birthday’s, anniversaries, baby showers, etc. 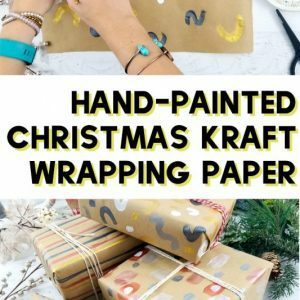 Let’s grab our supplies and start making some DIY kraft wrapping paper! 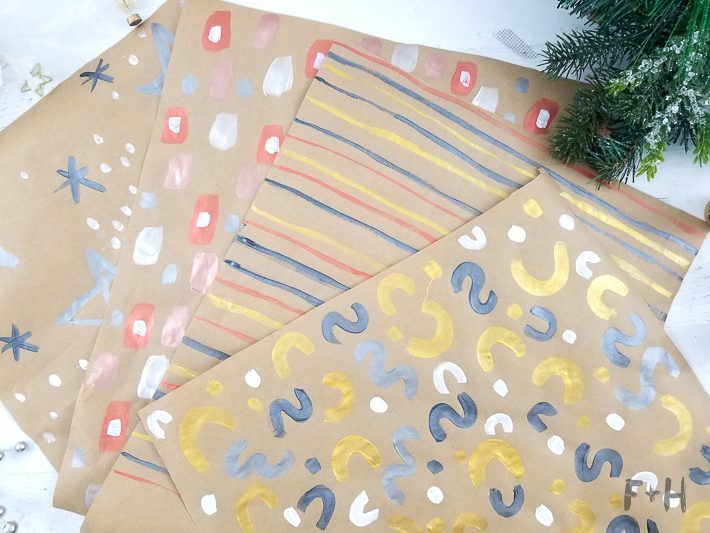 For the first holiday kraft wrapping paper, I created this Memphis Design inspired pattern. I’ve recently fallen in love with memphis design and basically want to put it on everything! 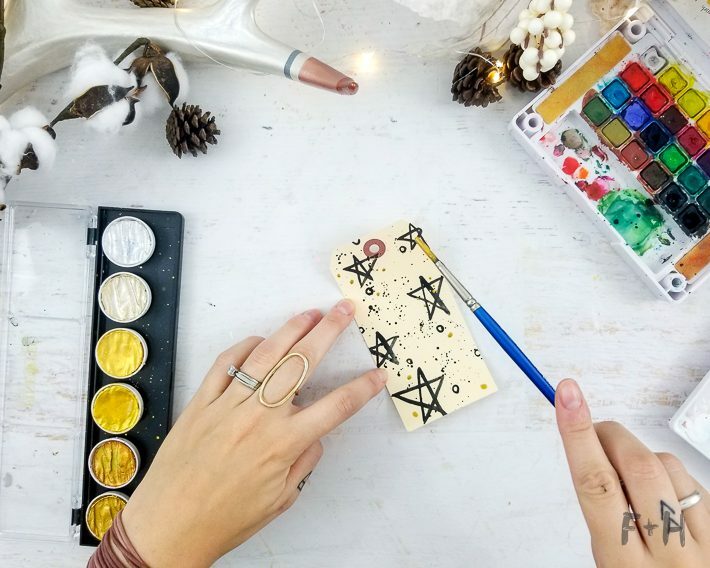 I used the 24K Gold, Black Pearl, Tin and Cottonball paints with a flat paintbrush to create this. First I started with the larger shapes, then filled in the remaining spaces with smaller shapes in all different paint shades. There really isn’t a right or wrong way to create this, so have fun! 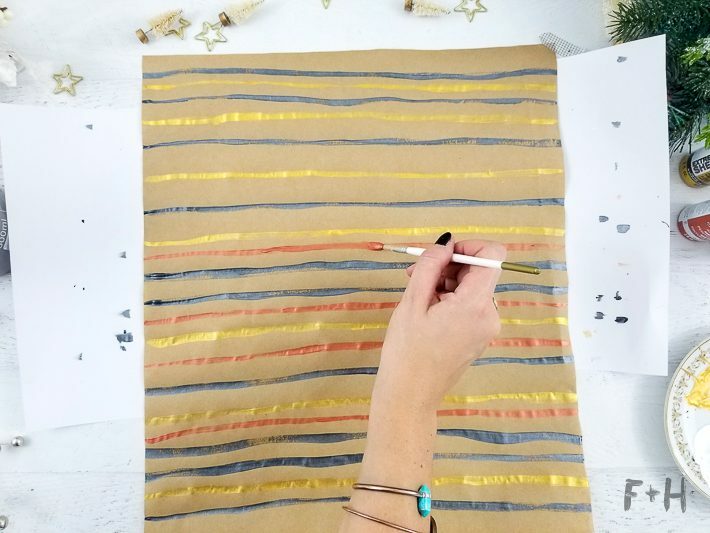 For this mark making inspired kraft wrapping paper, I used a few different warm metallic paints. Here I used the Copper, Rose Gold, White Pearl, and Tin. Again, this is a pretty straightforward pattern to create! I started with large brushstrokes using a flat paintbrush with the Copper, followed by the Rose Gold and White Pearl shades. Then I went back in with a smaller flat paintbrush to add smaller brush strokes in Tin and Cottonball! 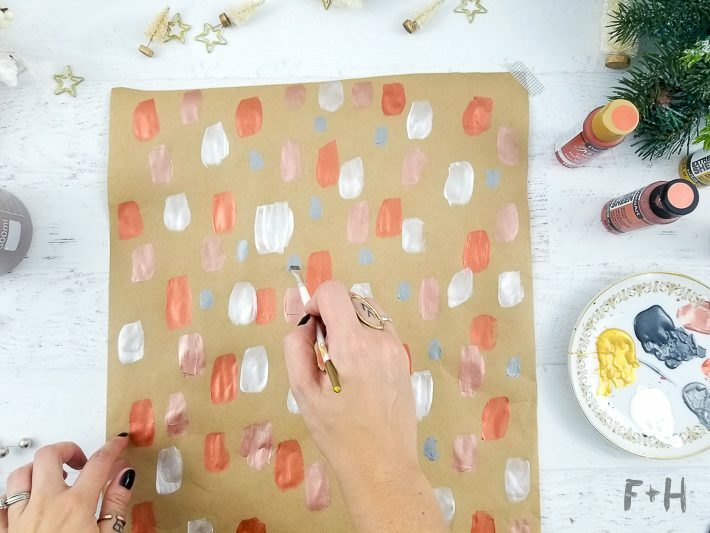 Tip: To add more visual interest to this brushstroke pattern, layer smaller brushstrokes in the center of larger ones! 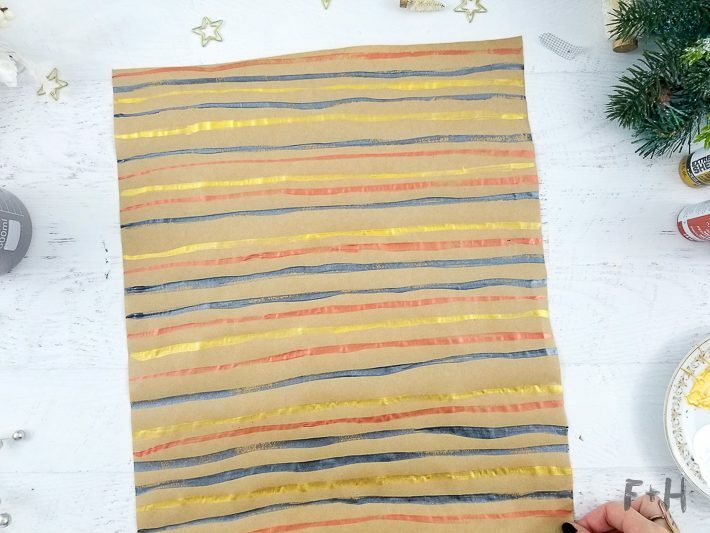 This striped pattern is quite easy and fun to make, I think! 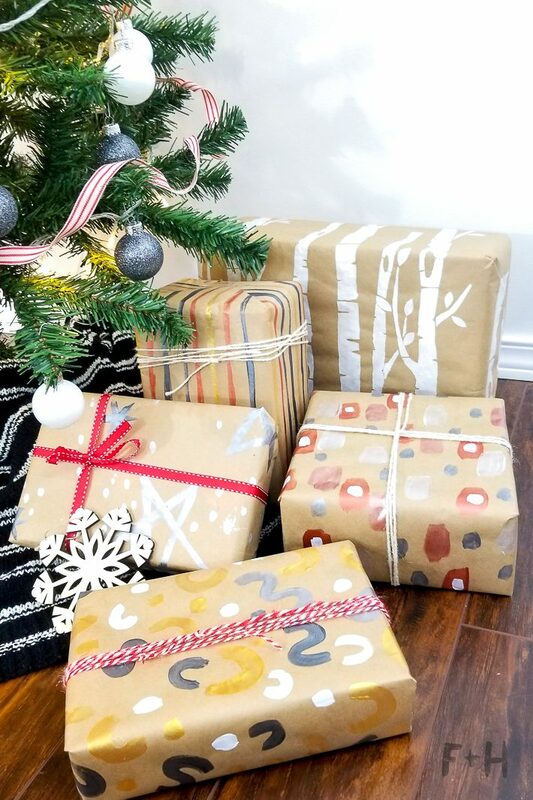 Because it is a hand-painted wrapping paper, there really is no need to worry about whether the lines are straight or even. The change of line width and wobbly lines add to the handmade quirkiness. 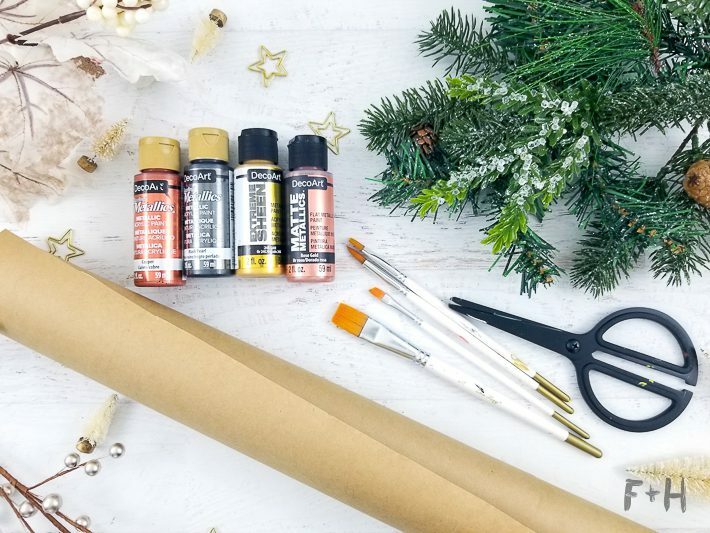 To create this Christmas kraft wrapping paper, I used the Copper, Black Pearl, and 24K Gold paints and a medium round paintbrush. As you can see, I didn’t even worry whether the pattern of colors was even. Just do as you like with this one! 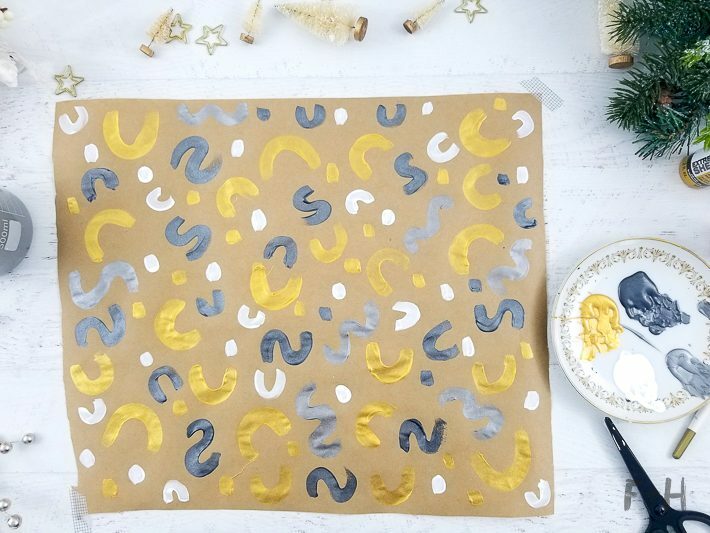 I think this last Christmas kraft wrapping paper might be my favourite design of them all! 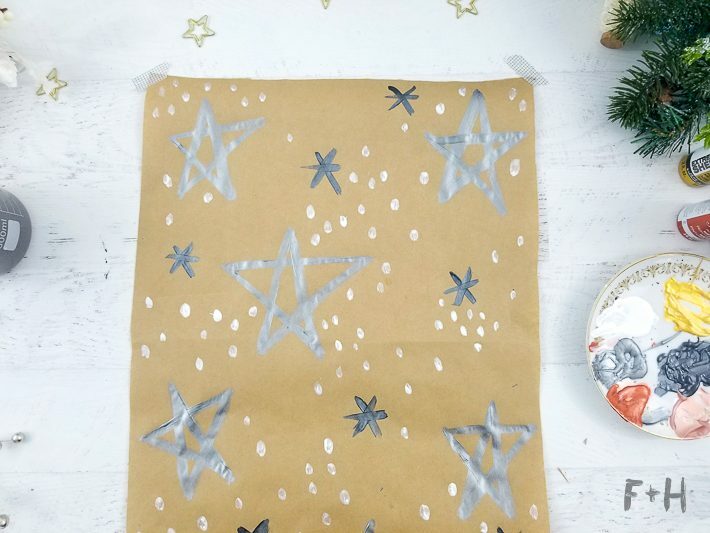 I used the Tin, Black Pearl and White Pearl paints to create this shiny star pattern. 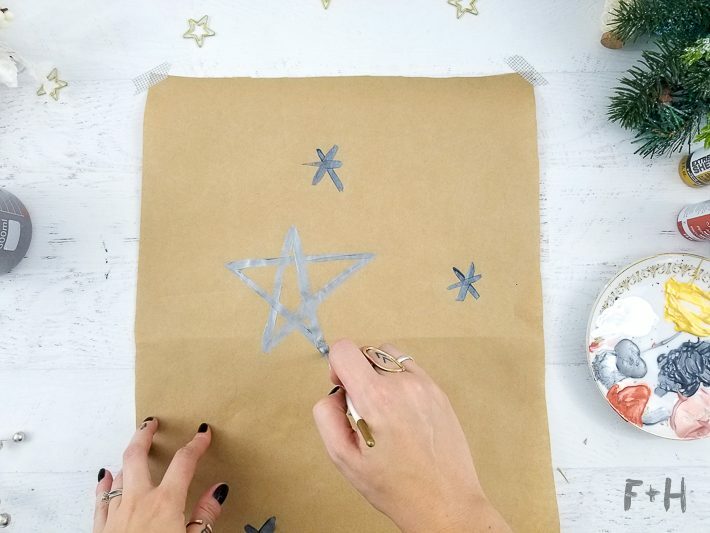 Initially, I started with the smaller star shapes but then decided to paint the large stars in Tin first. Then I filled in the spaces with smaller stars in Black Pearl. And lastly, I used the White Pearl to create these marks all over. I think it turned out quite lovely! 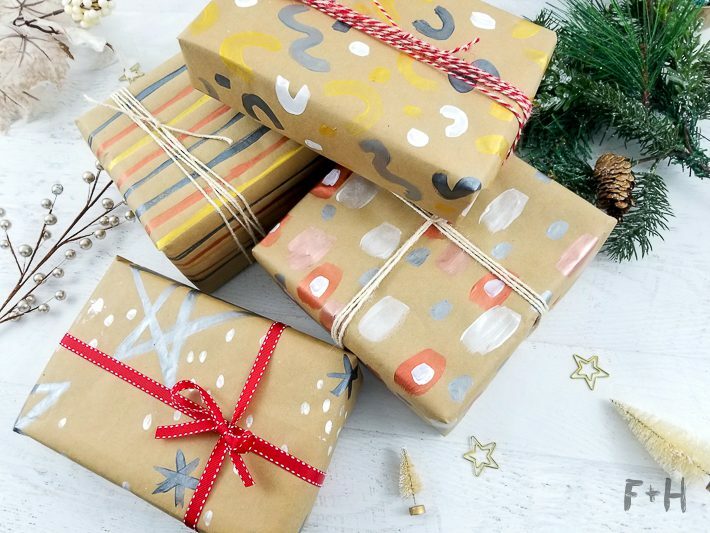 With a bit of twine and ribbon, these gifts are ready to go under the Christmas tree! I think these would be a real treat to find on Christmas morning or in a gift exchange! 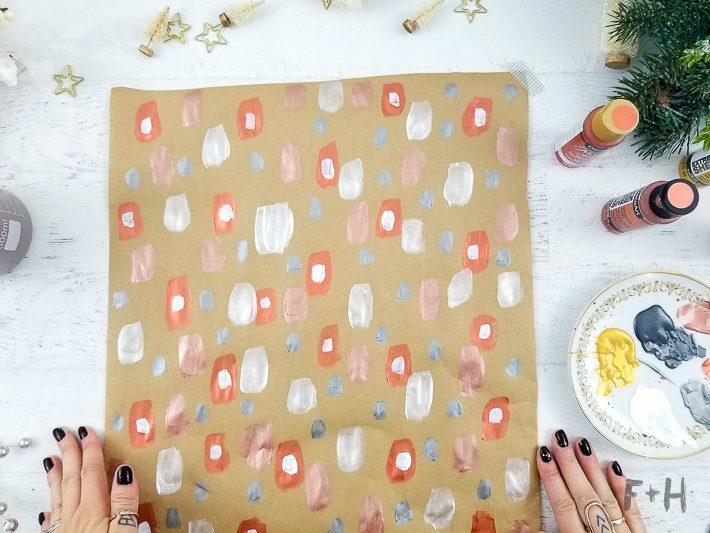 And the paper can be kept to use for other artsy things too if you like. Maybe for things like using it for art journaling?? 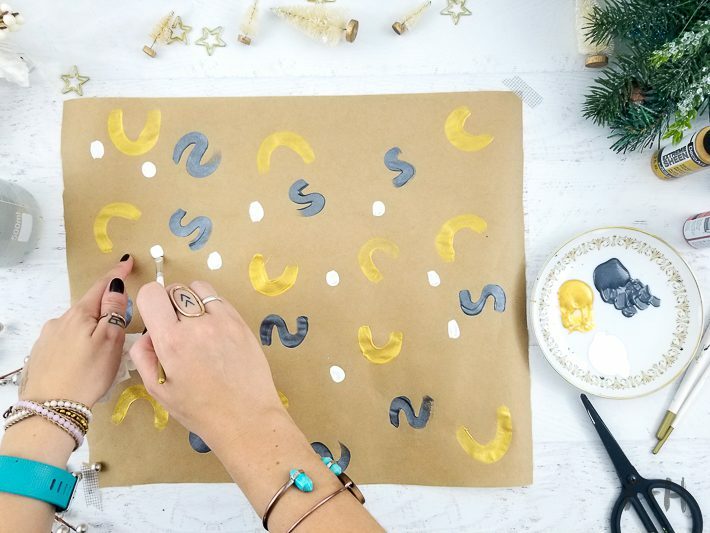 If you’d like to find some more Christmas DIY’s to make, be sure to check out these painted deer antlers, these black & gold ornament Christmas cards, and these Christmas hand-lettered painted rocks!